Great opening, guests and food. 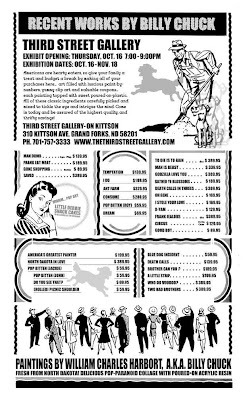 Here is the new THIRD STREET exhibition list. 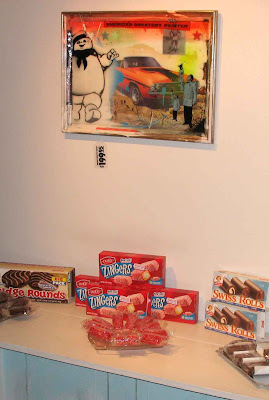 Little Debbie Snack Cakes will be served at the opening. enjoy. NDCA, along with the offices of Governor John Hoeven and First Lady Mikey Hoeven, is exhibiting the works of Minot State University art instructors, at the Capitol Building in Bismarck during the months of October, November and December 2008. Works from Jim Bailey, Dr. Andrea Donovan, William Charles Harbort, Linda Olson, Walter Piehl, Jr., Doug Pfliger, Patrick Sheldon and Avis R. Veikley are on display in the Governor’s ground floor and first floor offices, the First Lady’s fourth floor office, and the Attorney General’s first floor office. This is part of an ongoing program between the NDCA and the offices of the Governor and First Lady. 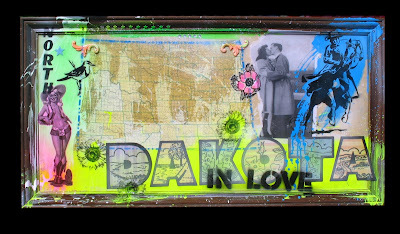 Artists looking to represent their region with art work placed in the offices of the governor and first lady can submit a brief resume along with photographs or slides of their work to the NDCA, 1600 East Century Avenue, Suite 6, Bismarck, ND 58503. Artists are selected for quarterly display. ..... When the gallery opens its doors Oct. 3 for the opening reception of “Le Dans Macabre,” viewers will discover 17 divergent works from seven national artists that, on the whole, offer a delightfully disturbing interpretation of the theme. Two of those artists, however, Tennessee’s Charles Bennett and North Dakota’s William Harbort (a.k.a. Billy Chuck), undoubtedly steal this show. Bennett’s three works — “Folk Zombie,” “The Simple Saint,” and “Poor Mr. Poe” — provide the needed whimsical and illustrative touch to shake up what could have been a rather dark exhibition. His comic-book style and sense of humor are perhaps best displayed in “The Simple Saint,” a small acrylic portrait piece painted on a found wood plank. The subject, a blue man riddled with nails, dressed in a gray suit, with wings, is reminiscent of a far-less serious Pinhead, the character from Clive Barker’s “Hellraiser” universe. Bennett’s deft touch is noticeable in his brush strokes, but the brilliant choice of adding half-hammered nails along the edges of the piece displays a keen artistic sensibility. Not only does the protruding metal stand in as suitable framework, but it also provides a depth that may otherwise be lost with their absence. 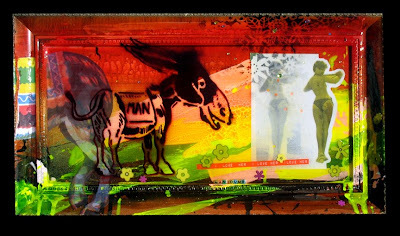 Harbort’s mixed-media pieces, especially “Death Calls in Threes” and “Dakota Ghost,” also have a bit of a whimsical touch, thanks largely to the rubber spiders and skeletons trapped in the cast resin coating. But his largest piece in the exhibition, “King,” a 36-by-25-inch mixed-media collage with cast resin, is eerily profound. The depth of the piece begins in layers. Green, purple, yellow and black paint provide the foundation. An oversized label from a Del-Monte can of tomatoes provides structure. Harbort then overlays the dark, cavernous openings of a mouth, a nose and eye sockets to create a skull emerging from it all. The placement of a burning spade playing card in each eye socket gives the piece a vibrancy and uneasiness that is decidedly macabre.